Coach’s Tip: All the grip today. You can save a little bit of it by utilizing the hook grip on the light Deadlifts and Hang Power Cleans. Don’t go to failure on any movement as your grip won’t recoup. 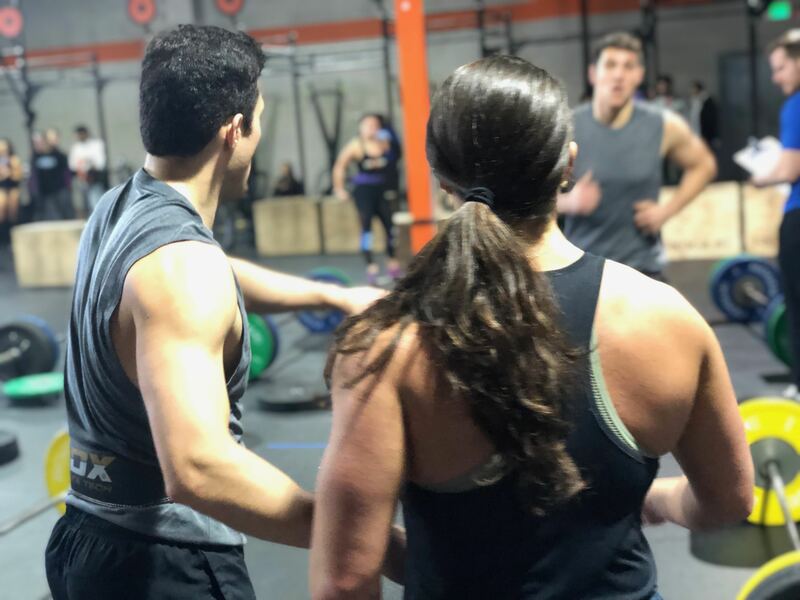 Dominic making the final sprint to his teammates (Natalie and Carlos) in WOD 3 of Battle of Baltimore!